Fastest improvement of any golf method. Just Setup 4 Impact! For many golfers it is like a miracle when they find the setup that makes it easy for them to hit great golf shots. Many are just looking to cure a lifelong slicing problem, but end up hitting the ball better than ever. My Setup 4 Impact golf swing shows you the path to finding an easier way to setup to the ball, which helps eliminate most of the difference between the setup and impact. Watch the video below for more info. My Setup 4 Impact golf swing can improve every aspect of your game, as it is the easiest golf swing to learn ever developed. This is because you can customize the method easily to fit your own needs. Kirk began golf at the age of 5 years old. After a successful Junior career, turned pro in 1986 played professional tournament golf through the USA. Including Dakotas tour, Teardrop tour, South Florida PGA section events. 1994 travelled to Bonn Germany to teach golf for 4 seasons. Played in SW Ohio Section events including one victory. Kirk was also a Member of the PGA of Europe for more than ten years. Kirk has developed the Setup 4 Impact golf swing based on his lifetime of experience with different golf methods listed below. Setup 4 Impact is fully customizable for each individual golfers. He was one of the top Instructors for Natural Golf Corporation 2000 - 2005. While at Natural Golf Kirk wrote articles which were published in Natural golfer magazine and was responsible for answering 3000+ golf technique related questions on the company’s website forum. Kirk was also a licensed instructor of the Moe Norman Single Plane golf swing as taught by the Graves Golf Academy from 2014 through 2016. Kirk is also a Certified Golf Teaching Professional of both the United States Golf Teachers Federation, and World Golf Teachers Federation, as well as a former PGA of Europe member. From 2005 to present Kirk has been running a golf school in the Pforzheim, Germany area. He has continued learning to become a better instructor over the past 20+ years and was influenced by the following teachers and their methods, he believes that you never stop learning and is constantly studying new methods in an attempt to make learning golf as simple of a process as possible for his customers. His first instruction came from Terry Crouch (head pro at Minnehaha Country Club, Sioux Falls, SD.) who was the instructor of many PGA pros, and LPGA 2 time champion Kris Tschetter who has $3 million in carreer earnings. Terry kept his instruction simple, and was always increasing his knowledge of the golf swing through visiting the top teachers of that time. Terry brought Jimmy Ballard to the golf club to teach his members including Kirk who was 13 years old at the time. Jimmy Ballard was instructor to many Major champions, and PGA tour winners including Seve Ballesteros, Curtis Strange, Peter Jacobsen, and Rocco Mediate. Kirk also learned from Robert Shave - PGA tour player 1960s, who grew up playing with Jack Nicklaus in tournaments. He worked for many years personally with William (Wild Bill) Mehlhorn - Bill had 20 wins on the PGA tour, and was instructor to many top pros, including Sam Byrd who Jimmy Ballard learned from. Considered to be one of the best ball strikers of all time by Ben Hogan. Bill was also a member of the first ryder cup team. Kirk worked also with Artie McNickle - PGA tour player, and instructor to many top PGA tour players. Artie finished in the top 10 in 9 PGA tour events in his carreer and was invited to play in the Masters twice, where he finished 17th in 1979. He also learned much about the short game at the Dave Pelz short game school - Dave Pelz has used his scientific background to develop the most respected method for teaching the short game and putting. He has worked with more top PGA players and major tournament winners the short game then any other golf instructor. Dave Pelz’s students have won 13 Major tournaments. Kirk recommends Dave's books "The putting bible", and "The short game bible" highly. Lot's of great info which he has partly included in his videos here on the website. He also knew Moe Norman personally - Moe was known as the world’s greatest ball striker, and one of the best Canadian Professional players of all time. Kirk learned Moe’s swing and even won a professional event with it. You can see a number of his videos which he personally filmed of Moe on his Youtube channel. Kirk also worked with Chuck Hogan personally over a number of years. Chuck has worked with more then 100 top PGA players, including Peter Jacobson, and Johnny Miller. 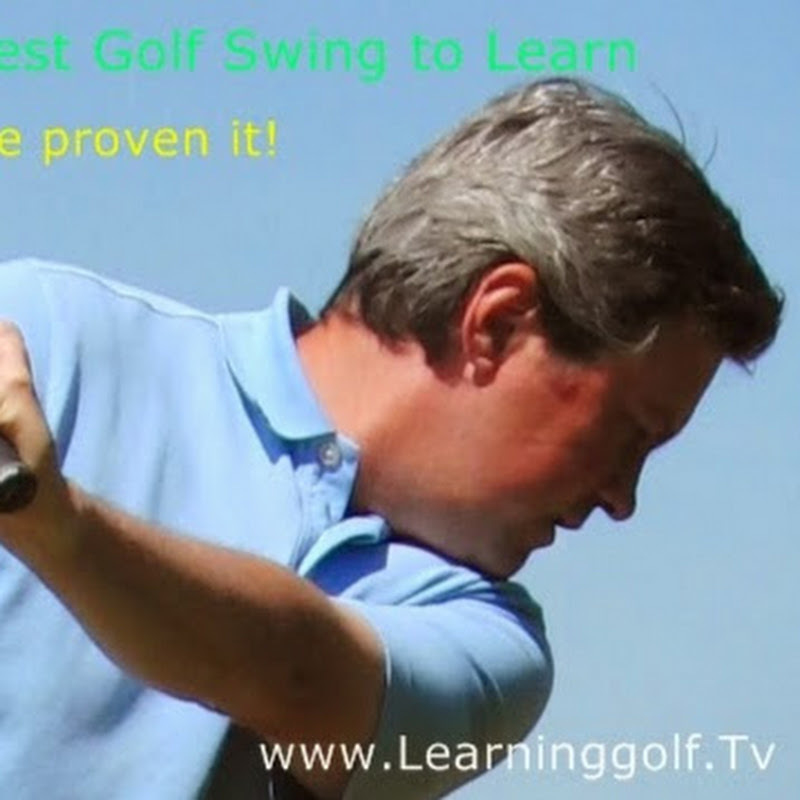 Much of Chuck Hogan's teaching can be found in the videos on this website, as well as the concept on "how" to learn to perform a better golf swing. Once you know what you want to learn, it is equally, if not more important in how to go about learning it. The knowledge gained from Chuck Hogan is what helped make Kirk's learning program unique and unparallelled in the golf industry. He has also learned from Dr. Rob Neal. The top golf scientist in the world. Inventor of Golf Biodynamics. 3D golf analysis. Dr. Neal has measured hundreds of the top tour players on his 3D system, and through these measurements it is no longer a mystery as to how a great golf swing works. The information gained from Dr. Neal is also evident in the drills, and movements you will make here when you follow Kirk's program. Kirk has also learned the methods of David Leadbetter, Hank Haney, Butch Harman, Jim McLean, Golf 54, Paul Bertholy, Ben Hogan, Sean Foley, Ernest Jones, The Golf Machine, and countless others.